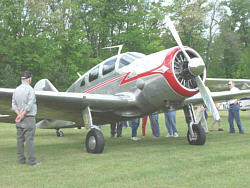 Our Spring Fly-In is held each year at Kline Kill Airport (NY1) in West Ghent, NY. A great time awaits all flyers, guests and visitors. A grand old Spartan Executive came to visit. Plenty of good food for everyone. Portion of the Flight Line - a nice walk. We even had an old, grizzly barnstormer stop in. 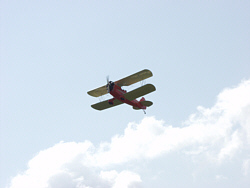 Join us again at a future Fly-In (see Home page for schedule) and see our beautiful airplanes, some large, some small, mostly home-built. Everyone is welcome! 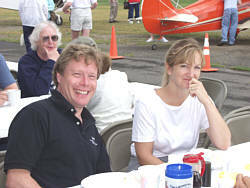 We put on a great	pancake & egg breakfast, and a fun time is guaranteed. 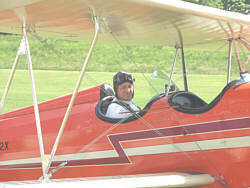 © Copyright 2007 EAA Chapter 146, Inc. All rights reserved. Please send any comments or questions about this site to the webmaster.